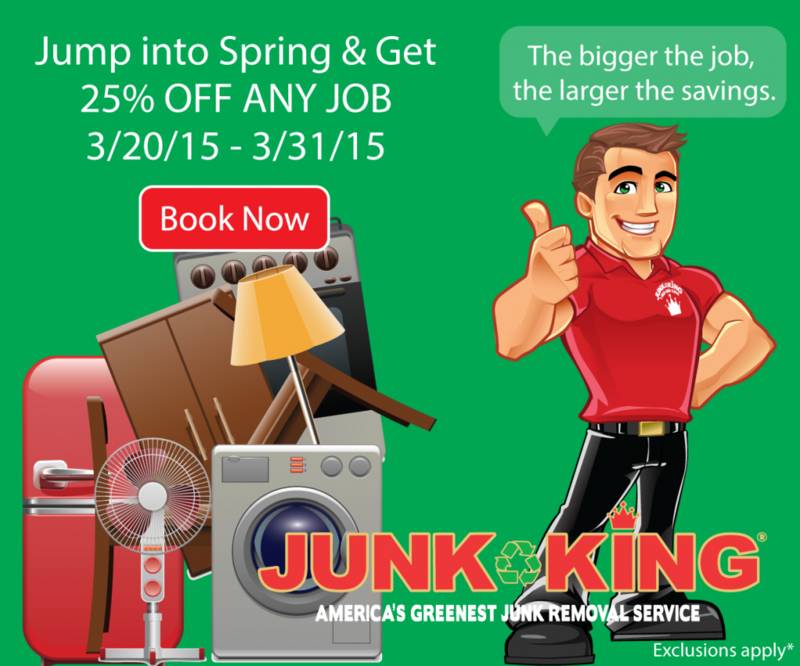 Are you ready to jump into spring cleaning? Here are some of our best tips to make your spring cleaning painless. 1. Prepare yourself with boxes, bags, markers, and tape so you can clearly label and pack the items you’re sorting. 2. Make a list of the areas you want to tackle, and clean one area at a time. Whether you want to tidy up your bookshelf, the kids toy area, or your garage, tackling them one at a time will help keep the project manageable. 3. Know where to donate. Habitat for Humanity, The Goodwill, or The Salvation Army vary in what they accept and prefer. For a list of acceptable items, click on any of their names above. 4. Call a reputable hauler. Reputable haulers disposed of larger items properly, and they work with larger recycling facilities to ensure all possible items are recycled. 5. Are you ready to get started? Take advantage of our great offer with promo code #GREENMADNESS. This entry was posted in Uncategorized on February 24, 2014 by barbara. Last updated March 23, 2015 .